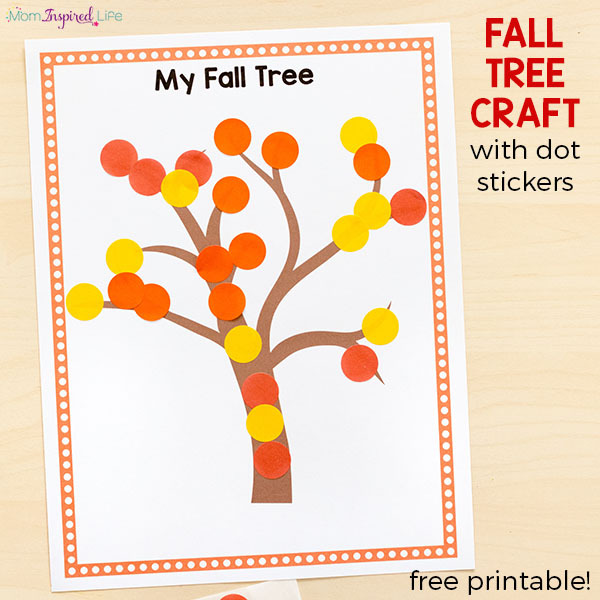 Invite your kids to make a fall tree craft with dot stickers. 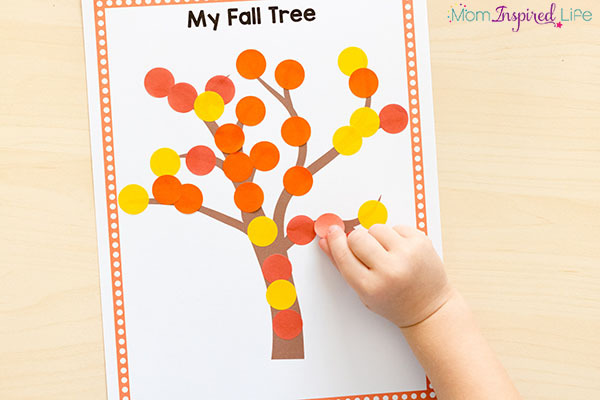 They’ll develop fine motor skills while also making a neat fall art project to display! 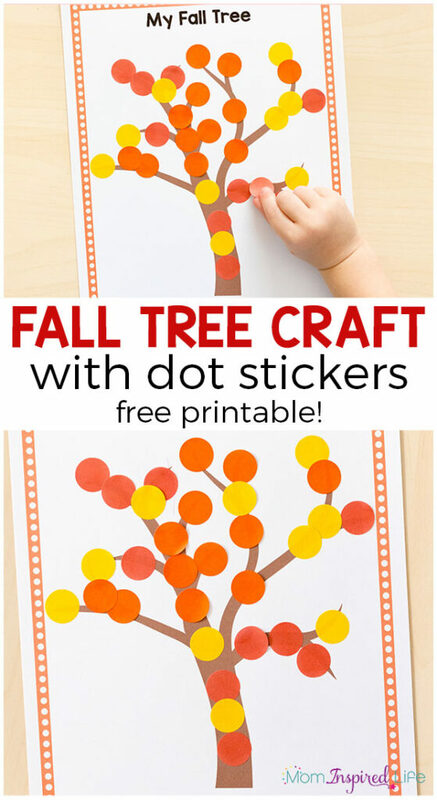 If you are looking for a simple fall tree craft to do with your kids, this is perfect for you. It’s something that even toddlers and younger preschoolers can do quite easily. Plus, it’s a fantastic way for young children to develop fine motor skills! 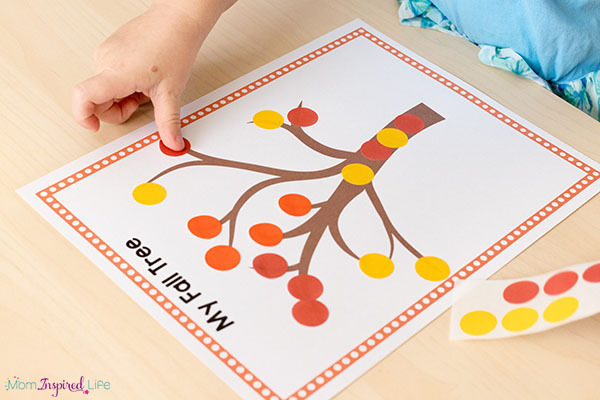 This fall apple tree activity with dot stickers is also worth checking out. It is one of my most popular posts! I have recently started preschool at home with my 4-year-old daughter. She loves stickers and any activity that includes stickers is a hit with her. I think it’s great because she is developing fine motor skills while peeling and sticking stickers. 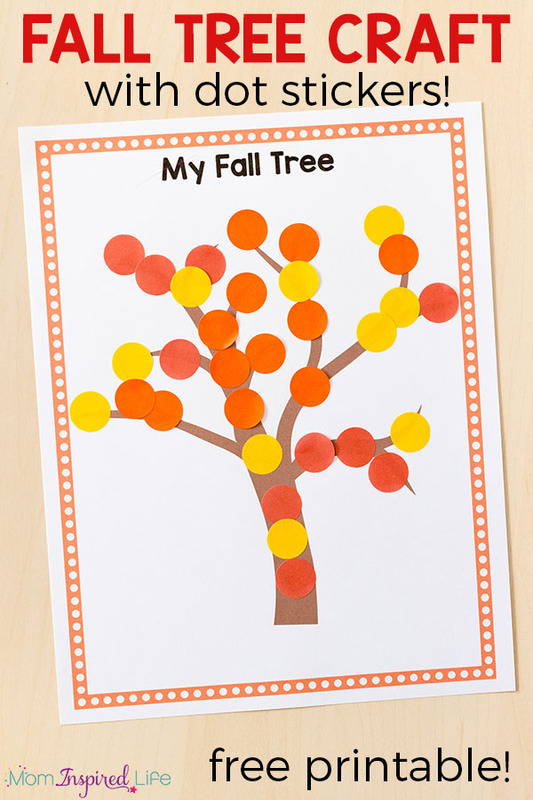 This fall tree craft has been one of our favorite activities so far. Even my 6-year-old son wanted to make one to hang in our house. Since he isn’t usually a fan of crafts like this, I was quite surprised. I really like it because it is so simple to set up. I don’t have to take out paints and clean up after them or spend 25 minutes setting everything up. Sometimes those type of projects are great, but this one is perfect for those times when you just want to quickly set something out for your kids to do and you don’t want it to make a huge mess. 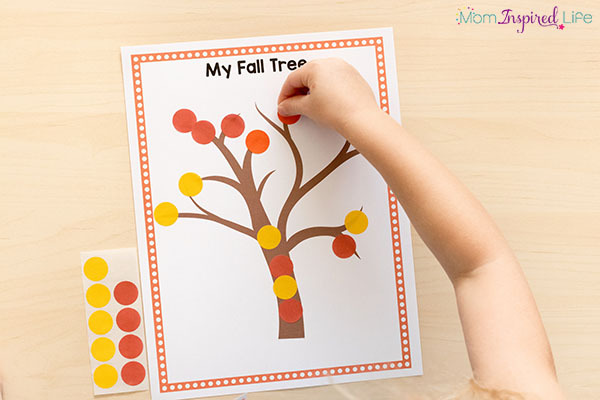 The printable fall tree template sheet also makes it super easy for you to do this fall art activity with your kids. It comes in color or black and white, so you can choose the one that works best for you. Then just grab dot stickers and you’ll be good to go. I got this pack that includes red and yellow dot stickers and then bought an additional pack of orange dot stickers. Or get this pack that has all 3 colors! You get a lot of stickers in each pack so we use them for all kinds of other dot sticker activities! 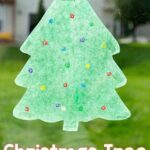 Then it is simple as inviting the kids to peel and place dot stickers all over the tree and even the ground below. You can do this again and again during the fall season too! 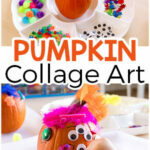 Check out these other fun fall activities for preschoolers! 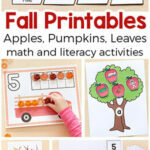 More Printable Fall Trees and Leaves Activities! 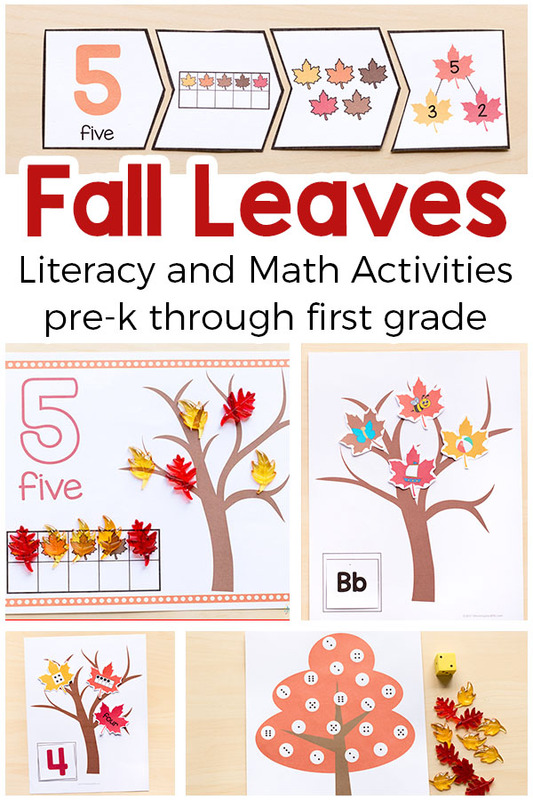 The printable fall trees and leaves portion of the pack includes 10 activities and 150 pages of activities to engage your kids this fall!